Who says Larry never smiles? 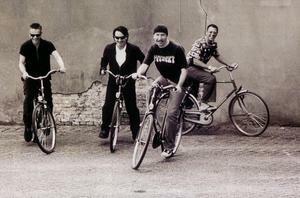 You can see the drummer grinning in the newly available U2 2004 Official Calendar. The calendar features 14 photographs of the band taken by Anton Corbijn. Scans of all the calendar images may be viewed at U2guatemala.com.